[2009 April] Olmsted on Autism: 1 in 10,000 Amish Dan,You nailed it! Dr. Max Wiznitzer (THE Dr. Max Wiznitzer of University Hospitals in Cleveland who is an expert witness for the government against the families who file in the National Vaccine Injury Compensation Program) screwed that up big time. 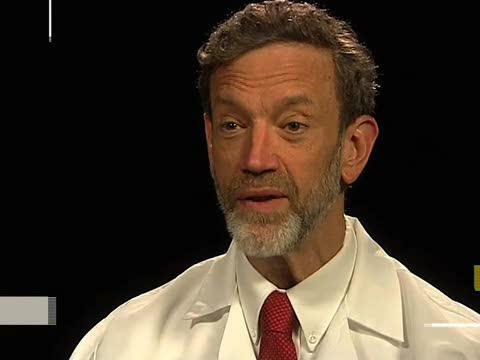 His plan must have been to strike down ALL of the good data, keep it hidden that he is Dr. Max Wiznitzer of University Hospitals in Cleveland, an expert witness for the government against the families who file in the National Vaccine Injury Compensation Program, and use some "plagiarized" phrases from the ND and I'm sure vise verse. DR. MAX WIZNITZER: (expert witness for the government against the families who file in the National Vaccine Injury Compensation Program)-"Well, we know that in about 10 percent to 15 percent of the cases, we can identify a genetic causation, ..."
OK. Gotta stop right here as Mark Blaxill did a wonderful piece on that "10%-15%" that Dr. W is bringing up... http://www.ageofautism.com/2008/03/the-fragile-b-1.html#more"
1. There is no valid foundation for the claim that 10% of autism cases can be explained by genetic causes. The claim appears to be just another case of a faulty “chain of collective reasoning” and, despite being “generally accepted”, it is specifically wrong. 2. Even when there was documented evidence of a positive diagnostic yield, the evidence was overstated. The overall genetics yield in all of these studies came to less than 7%, and well under 6% if you exclude the single study that claimed to have explained 30% of cases. 3. When you take out known rare forms of autism like Rett and Fragile X syndromes, the reported yields collapsed even further. Nearly half of the foundation of success in generating a diagnostic yield rested on these two exceedingly rare diagnoses." ...so Dr. W, your data is without merit. WIZNITZER- Initially the complaint was Mercury. That was disproven. Then the complaint was MMR. That was disproven. Now we've got a new moving target, which is that the combined vaccines all together that do this. --wow--how original is that! If I had a nickel for every time I've read orac or anb use this lame excuse.... There has been no scientific data to prove mercury or mmr or any of the vaccines, alone or in tandem DO NOT cause autism. This was the winning answer on that topic:DR. BERNADINE HEALEY, FMR. PRESIDENT, AMERICAN RED CROSS: We have got to focus on it and we have got to listen to families. And I think that environmental triggers in the context of a genetic predisposition makes a lot of sense. But we don't have the foggiest notion of what those environmental triggers are. Vaccines might be one of those components. Let's respect that and let's investigate it. And I don't think it's been fully investigated. WIZNITZER: I think what it is you're born with a tendency towards it. As Dr. Healey has stated, there's work being done right now trying to look for environmental causes. Are there factors that may tip them over? As far as we know right now, vaccines aren't those kind of factors. HEALEY: I think you have nailed it, Larry. I think there is so much more to learn. Simple things like a comparisons of children who have and have not been vaccinated. This is something that we have talked about doing for many years. It has not been done. It can be done through various models, through case control model models. It can be done retrospectively. It has to be done.Also, looking specifically at the children with regressive autism, the kids who were just fine, and then, shortly after immunization, they have a high fever, likely have an ensefalopothy (ph), and they never come back from it. We need to look at that subset of patients. Study 500 of those kids. WIZNITZER: It's a very complicated issue. Studies have been done and people have actually looked at this study even this year in their publications. And they've shown that issues such as diagnostic substitution, which means they had previous diagnosis, that we have loosening of the diagnostic criteria. An example would be if, all of a sudden in baseball, we moved the outfield wall 100 feet closer; we pump the players up with steroids, and then say, look they broke the baseball record for home runs over and over and over again. Journal of Autism and Developmental Disorders, Vol. 33, No. 2, April 2003 (© 2003 "We appreciate the thoughtful comments offered by Blaxill, Baskin, and Spitzer regarding our analysis of data on children who are clients in the Department of Developmental Services regional center system in California with a diagnosis of autism or idiopathic mental retardation (MR). It is this possibility of diagnostic substitution that the above letter addresses. Blaxill et al. correctly point out that age patterns of enrollment in this service system may be substantially different for autism and idiopathic MR and that truncated follow-up for children born during the more recent study years might differentially affect the observed trends in prevalence of these two disorders over the study period. That is, not only did we under-ascertain autism in the later years (which we acknowledged), but we may have un-der ascertained MR to a substantially greater degree (which we did not acknowledge). Blaxill et al. assert that the observed decline in idiopathic MR could be an artifact of a relatively later average age of entry into the system for children with this disorder. Diagnostic substitution does not appear to account for the increased trend in autism prevalence we observed in our original analysis because the probability of becoming a DDS client for MR by age 4 remained relatively constant over the study period, while the probability of becoming a DDS client for autism by age 4 increased steadily from about 2/10,000 births in 1987 to about 10/10,000 births in 1994, a nearly five-fold increase." I am sure there are many more examples that Dr. Max Wiznitzer of University Hospitals in Cleveland, an expert witness for the government against the families who file in the National Vaccine Injury Compensation Program, has goofed on. Who will AAP choose next for Larry King Live?